Scout Troopers are the Imperial equivalent of the already covered Rebel Commandos, giving them their first Special Forces unit and temporary parity with the Rebel forces. That being said, these Special Forces units differ somewhat from the Rebel Commandos and other Imperial forces. Let's take a look at them now. Offensively is what we need to look at first. The Scout Trooper's EC-17 Hold-Out Blaster is a beast of a weapon, dropping 2 Black dice on your opponent at a limited Range 1-2. This averages to 1 hit per mini, which is better than pretty much any generic trooper mini. Unfortunately there is no offensive surge conversions to improve these shots, but with a generic 4 man team and no aim, you can average 4 hits, and increase this to 5 with a single aim token. Sharpshooter 1 helps ensure your shots will go through cover. They aren't terrible at melee, but 1 Black die and no surges does not exactly inspire confidence. You basically cut their damage in half by getting into melee, so the Range 1-2 is their sweet spot. Defensively, they are an Imperial glass cannon. While they are a rare Imperial unit that gets defensive surge to block, they also have the dreaded white defense die. Combined with just 4 minis per unit and a single health per mini, and if they are caught in the open they will die very rapidly. Fortunately, with Low Profile they can get Heavy Cover nearly anywhere. Also a courage value of 2 means that they can take some shots and still advance, or "Duck and Cover". For movement, you can use Scout 1 to get a jump on an early objective, or to get them closer to the fight early, and you'll want them in the fight with their attack dice. Otherwise, just a normal Speed 2 move. 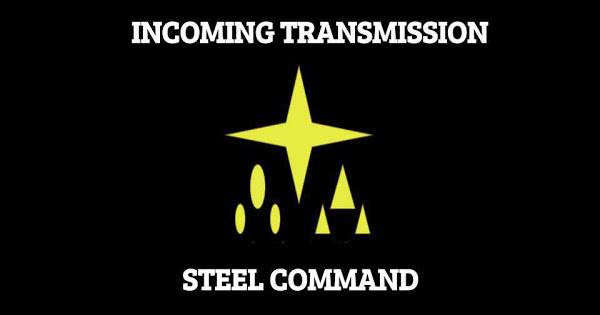 Upgrades are Heavy Weapons, Training, Comms, Equipment, and Grenades. Oh my yes. Another mini (worth 15 points by itself) and the extra 13 points gives you the ability to reach across the map, a weapon with 2 Black dice (and thus no downgrade in dice quality) and the keywords High Velocity and Pierce 1. The range boost on this weapon lets the Scouts at least do something on their approach, split fire, or just sit as a Strike Team at long range and plink away at a target. They average better hits with an aim token then the Rebel's White / Black, so on a team just sitting across the map and not moving, they are going to statistically do just a bit more damage. Pierce 1 is good enough reason to throw this onto your full team, but it might not be the most efficient upgrade. Imperials get another way to put Suppressive attacks on a target. Sonic Charge Saboteur lets you Arm 1: Sonic Charge to put down a token capable of making an AOE attack at Range 1 with 1 Red / 1 Black and surge to crit, as well as Blast and the aforementioned Suppressive. 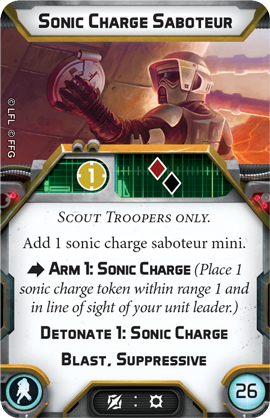 Great against troopers and trooper spam, this can be detonated at basically any time as long as you have a unit with Detonate X: Sonic Charge still on the board, including other Scout units. This is honestly probably the upgrade you want to take on the full scout units to maximize the chaos against trooper spam. Get that suppression token early so that you can have immediate Heavy cover. With this upgrade you can walk your Scouts across the map without giving a single care about cover, or put this on a Sniper Strike Team and not worry about getting bodied from long range. New card in with Fett. 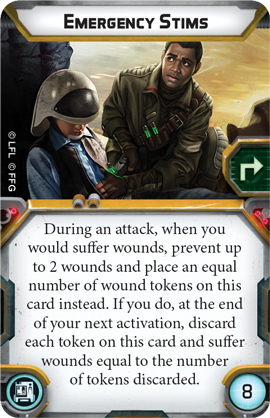 Attack a wounded unit, get a free Aim token. Bad news is it doesn't work on generic troopers at the moment as they all have 1 health. Should work with Wookies / Royal Guard (some of the time) though! This can make your Strike Teams more mobile if going up against named character, it also adds more dice rerolls to your Scout Troopers while getting them all up in against the big guys, while you reenact the ending of Last Jedi on Luke Skywalker. Veers - Here's where it gets fun. Get a Recover action (which refreshes HQ Uplink immediatly!) with Imperial Discipline! Maybe better for a Vader list where your Scouts are your only non-Core units? Scouts do want to get ALL UP IN on your opponents anyway. This could be good for throwing a wrench into your opponent's plans. Could be a very useful upgrade. Snipers don't need it, but a full team of Scouts is going to be throwing a LOT of dice at a target. 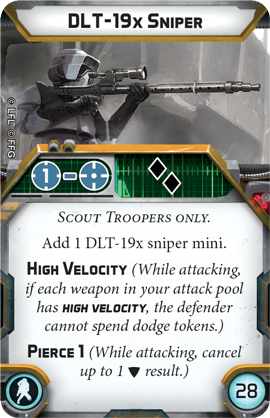 Find a good way to toss an aim token their way (Veers) and go hog wild doing more damage than a team of Fleet Troopers. I almost consider this worthy of stapling to the Sniper upgrade card, especially the Strike Team. Get high, see more things, shoot more things. A pretty good idea to include on your Strike Force to double your effective health for one good zombie push. Also lets you suicide yourself into an enemy if you've got a Saboteur - Arm and immediately Detonate (Arm was an action after all!) Then hang around anyway to force your opponent to use your reanimated corpses for target practice. You're already dead, might as well take some of those Rebels down with you. Stims don't kill you until the end of your NEXT activation after all. With Sharpshooter 1, Concussion Grenades aren't really all that useful. Impact Grenades could be helpful, but really you're cutting the combat power of the Scouts by taking grenades in half for each one that throws a grenade. So unless you want to an emergency source of anti-Armor, leave them at home, or put them on the Stormtrooper teams. You've got a team that is difficult to kill, being effectively always in heavy cover, and able to drop Sonic Charges all over the place. Great against trooper spam. Get them all up ins! Waaaaaaaaggggghhhhhh! Forget bombs, you don't need anything fancy to shoot things. Get close, fire 10 Black dice at a target, survive the counter attack, and do it again. Pierce 1 ensures your attacks will cause some damage. Kaboom! Even if your main Scout team dies, you can still set off their mines as the Strike Team hides in the rear of your lines with a detonator in hand. That's pretty cheap for a good supporting unit. Better than a 4 man unit of naked Snowtroopers anyway. Hide somewhere high and put rounds downrange. If you are maximizing one box, it seems like you should have 2 with the sniper and 5 with the Sonic charge. For the rebels, I'm not sure how you would split the weapons. I think the sniper needs to go with the 5 man team.